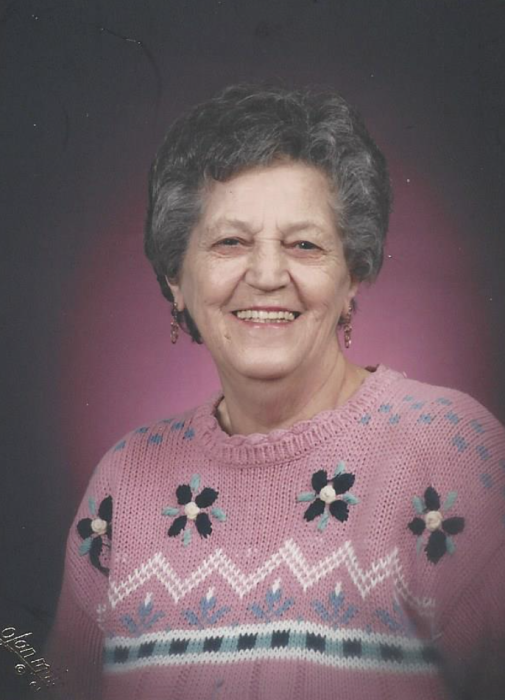 Viola D. Daisey, 89, of Old Orchard Beach, Maine formerly of Gorham, New Hampshire, passed away, Thursday, October 5, 2017, at the Maine Medical Center in Portland, Maine after a period of declining health. She was born July10, 1928 a daughter of Sam (Santo) and Restituta (Poretta) Dalphonse. Viola was the loving wife of 67 years to James F. Daisey, Jr.
She was a member of the former St. Margaret’s Parish in Old Orchard Beach now, Good Shepherd Parish, and Holy Family Parish in Gorham. Viola fully enjoyed her family and get “togethers”. Every meal was a feast to all. These will be greatly missed by everyone. Pre deceasing her were her parents, a daughter, Donna Marie Daisey; 2 sons, James F. Daisey III and William Daisey; 2 brothers, John and Carmen Dalphonse ; a sister, Mary Jane Adinolfi. Family members surviving besides her husband of Old Orchard Beach, include 2 sons, Sam Daisey and his wife Anne, Old Orchard Beach; Karl Daisey , Gorham; granddaughters, Kimberly Mulligan and her husband, Jonathan, Berlin, New Hampshire; Karen Daisey and Matt Leeman, Gilead, Maine; Dina Albert and her husband, Dan, Gilford, New Hampshire; Donna Couture and her husband, Scott, New Market, New Hampshire; Grandsons, Bill Daisey and his fiancée, Maygan Donovan, Milan, New Hampshire; Shawn Daisey and Michael Daisey, both of Berlin, New Hampshire; James Daisey IV and his wife, Adriana, Bellingham, Massachusetts; 6 Great grandchildren, Johnathan, Mulligan Jr. and Lilly Mulligan; Destiney and Hunter Leeman; Olivia and Elizabeth Albert. A visitation period will be from 10:00 AM to 11:00 AM, Wednesday, October 11, 2017, followed by a funeral at 11:00 AM at the Bryant Funeral Home, 1 Promenade Street, Gorham, New Hampshire. Interment will follow at the family lot in Holy Family Cemetery in Gorham. In lieu of flowers those who desire may make Memorial Donations to Good Shepherd Parish, 271 Main Street, Saco, Maine 04072.